The Management and Board of your Club is pleased to update you with the following changes in food and beverage as of June 2018. 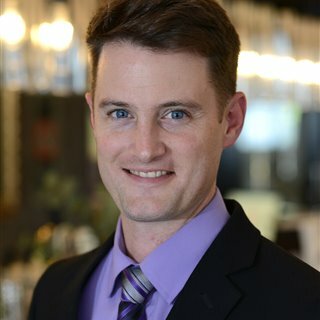 Restaurant Manager, Ryan Clarke has been promoted to The Epping Club’s Food and Beverage Manager. This change will see Ryan take responsibility for the ongoing success of all facets of our food business including service, training, quality and consistency across Rawsons, 45 on Rawson and The Brasserie. Executive Chef Nick Whitehouse has left Rawsons restaurant and we thank him for his efforts in launching and executing our food vision over the last two years. Rawsons Restaurant will continue to celebrate honest, seasonal food with a whimsical twist, and to produce the exceptional food that’s received city-wide praise. In 2017 Rawsons was a multi-award winner receiving a Gold Award in the NSW and Silver Awards at the National Savour Australia Restaurant & Catering Awards and a finalist in the ClubsNSW Chef's Table Awards. The Autumn menu is now available please see the website for our latest delicious dishes.